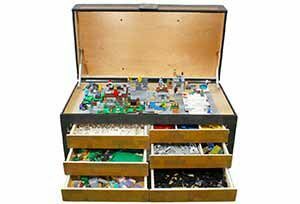 The Maker’s Chest is a dynamic toy chest designed with Lego® storage in mind. 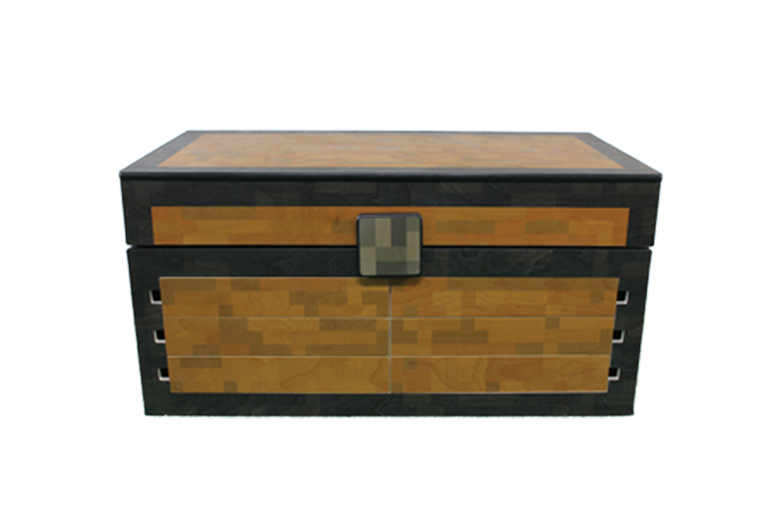 This stunning chest is an extremely durable and flexible storage solution for your child’s bricks. 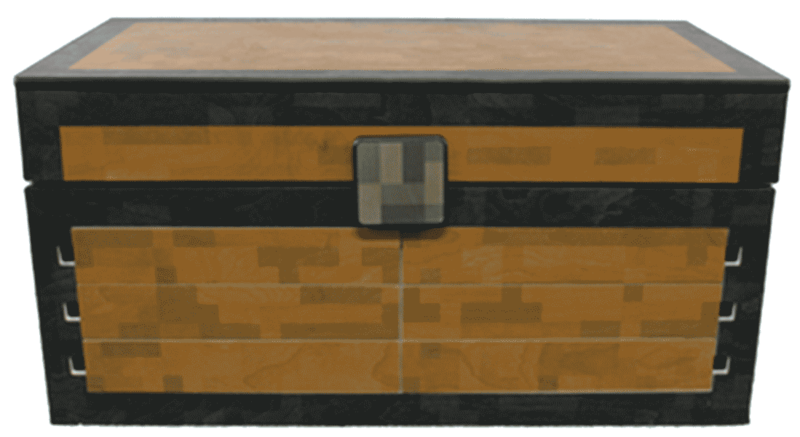 The Maker’s Chest design uses voxel art designed by Larscraft. This art is printed directly to high quality wood. 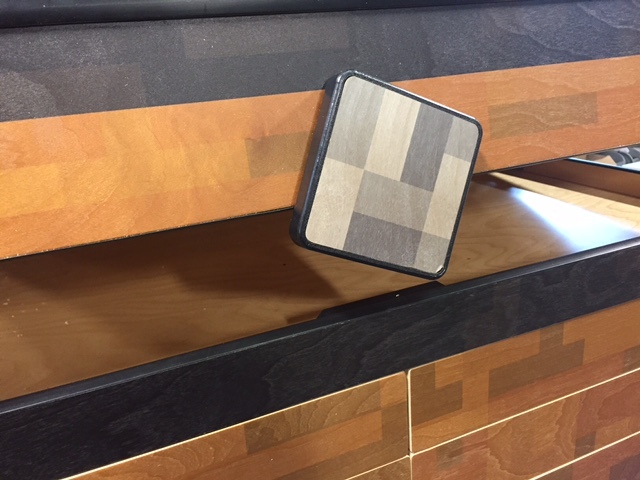 The process allows the natural grain of the wood to show through for an appealing finish. The art also acts as a protective coating on the wood. The lid of the chest has a latch that magically ‘clicks’ when it is opened and closed. With a gentle touch and twist of the latch, the pistons lift the lid to reveal a smooth play area. 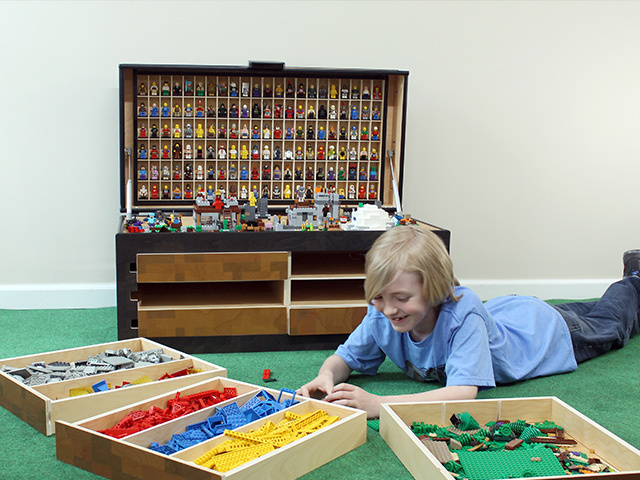 This space is great for building, playing, and storing your brick creations. Give your builder the ability to create with a FUN-ctional play area that reinforces good organizational habits. Using the Maker’s Chest helps children learn that when everything has a place, it takes less time to find that much needed piece! The Maker’s Chest has six removable trays with protective UV coating. This coating allows parts to slide around easily. Each tray slides out from the chest and has two removable dividers for up to three rows of separation. 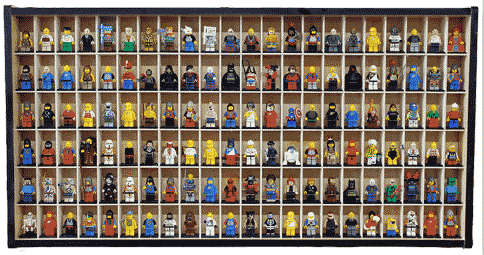 Maker’s Chest is for the person who loves building, loves collecting, and loves mini-figures! 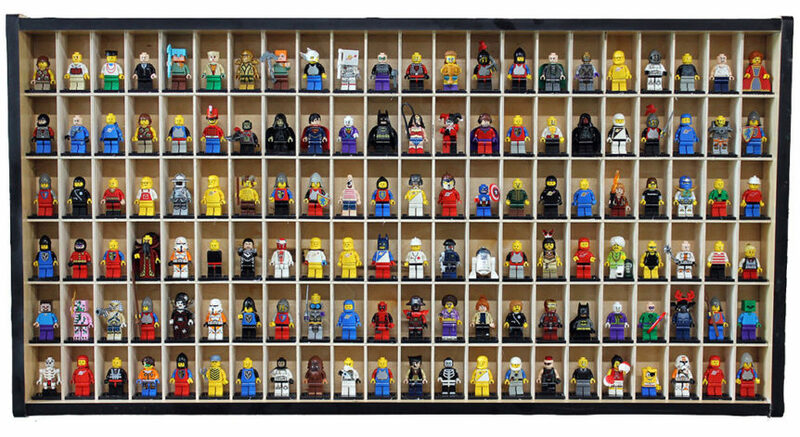 Add-on the Figure Showcase to your order to display and store your collection of characters. Order your Maker’s Chest today! 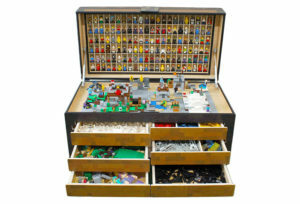 This looks like something my son could totally enjoy playing and storing his lego’s ..
Gamers should love this because they can place their minis and terrains in this chest!! Amazing concept, design and execution! Just what I need for my 6 year old daughter’s growing LEGO, robotics, and other STEM toys and building sets! Glad I got in on the super early bird Elite! Omg this looks like something an 8 year old came up with! Congrats on reaching the goal! I am so excited to give this to my son for Christmas this year! He is a lego AND minecraft fanatic! I am also so proud of your son! This is incredibly awesome. Can’t wait to have one in my home! This is such an amazing idea. I finally heard back from the support email. I think they are a little overwhelmed, but I did get a replacement chest. The new chest is great and I’m very glad I bought it. Also, my son was very upset when the new chest arrived. He didn’t like the idea of having to send back something he obviously loved so much. I had to explain to him that we were just switching the chests and he would still get to keep one. Both of my kids (4 and 2) play with the chest daily.